Rehabilitation technology specialists provide services that help DRS clients work more efficiently. DRS has a group of experienced engineers, computer specialists and technicians who specialize in job accommodations, custom-designed assistive technology and product fabrication. DRS experts can help with vehicle modifications and driver training. The West Virginia Technology-Related Assistance Revolving Loan Fund For Individuals With Disabilities, commonly referred to as the Revolving Loan Fund, is a statewide loan program that can help qualified West Virginia residents to purchase assistive technology devices or services. The West Virginia Legislature set aside $100,000 for loans ranging from $500 to $5000 to cover 90% of the cost of the technology-related device or service. The interest rate on these loans varies with the prevailing prime interest rate. Loans can be approved with repayment terms as long as five years. 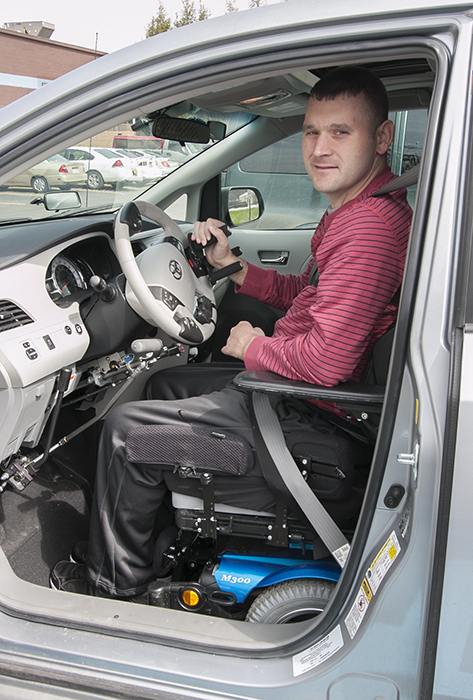 Qualifying expenses may include ramps, lifts, roll-in showers, some communications devices, computers with adaptive software, computers when used as communication devices, scooters, wheelchairs, closed-circuit televisions and vehicle modifications for accessibility. Vehicles and computers, unless noted above, are not considered assistive technology for loan purposes. The fund is managed by a Revolving Loan Fund Board whose seven members are appointed by the Governor. At least three board members must be individuals with disabilities. A Revolving Loan Fund applicant must be an individual with a disability, or his or her representative, who demonstrates that the loan will assist one or more persons with disabilities to improve independence, productivity or participation in the community. Loan applicants are not required to be clients of the West Virginia Division of Rehabilitation Services. Applicants submit a written application and $20 nonrefundable fee to the Board. The fee is used to conduct a credit check to assess the applicant’s ability to repay the loan. A Revolving Loan Fund Application may be downloaded here in Adobe Acrobat format. Applications must be reviewed and completed, then printed and mailed with the $20 application fee to Cynthia Lokey at the above postal address.